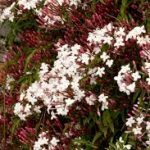 Over the course of many years of creating new landscapes in San Diego, I’ve heard many clients inquire about adding Night Blooming Jasmine to their yards. I have to then explain the differences between the Night Blooming Jessamine (or Jasmine) versus Star Jasmine (sometimes called Confederate Jasmine). In fact there are at least two other San Diego Jasmine plants that are commonly used. Three of these plants are true vines; although Star Jasmine can be kept low as a groundcover, it really does like to trail and can completely cover a trellis or even a chain link fence. It is the Night Blooming Jessamine that is actually a shrub. The most popular is the Star Jasmine (Trachelopsermum jasminoides). This is the dark green leafed vine that is blooming in April and May. Anyone who is outdoors at this time of year will come across the sweet fragrance permeating the air. Star Jasmine blooms pure white flowers. An interesting fact about Jasmine in general is that Jasmine grandiflora is known as “the heart of the perfume trade.” I read that over 80% of all women’s fragrances include this plant. And over 30% of men’s colognes also use this plant. 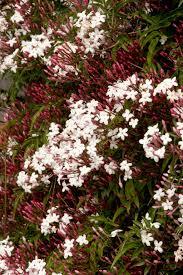 Another popular San Diego Jasmine is Pink Jasmine (Jasminum polyanthemum). This is the first Jasmine of the year to bloom as it can be found blooming in January. This plant’s flowers have a pinkish hue to the pedals. It too is intoxicatingly sweet at a time of year when few other plants offer any fragrance. 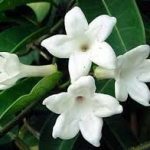 The Night Blooming Jasmine or Jessamine, (Cestrum nocturnum) is not a vine, rather a shrub that can reach up to 12 feet tall and wide. It is related to the Nigthshade family and it is toxic to both human and animals. This shrub is not all that attractive in the landscape. It does have creamy white blossoms and white berries. Some say this plant is too strong of a fragrance. Lastly, another vine is the Madagascar Jasmine. This is a vine that prefers shade. 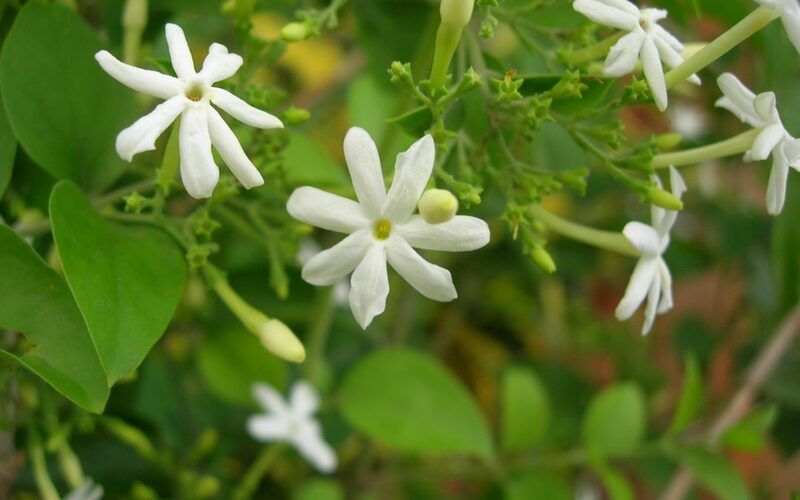 It too, has a white flower and blooms a bit later that the Star Jasmine plant. I have seen this plant used to trail (with support) along the top of the wall next to the celling on covered porches. All of the vining Jasmines do need support. A trellis is idea to give these vines the support they need to grow upward. One company who does create custom metal trellises is Garden Metal Works www.gardenmetalworks.com. If you would like more information regarding San Diego Jasmine plants, contact Letz Design Landscape. 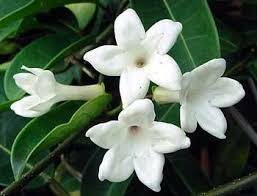 And start savoring the fragrances of the many Jasmine varieties in our region.